Trainwreck :The Sativa Dominant Strain that will Shatter your World !!! 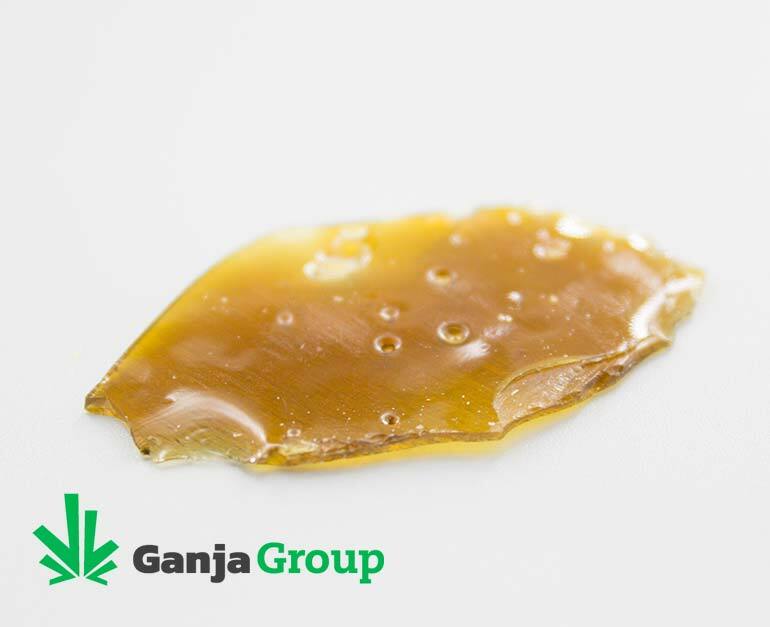 Shatter is becoming one of the most popular cannabis products these days, and we have an amazing one for you! Extracted from a sativa-dominant cannabis strain called Trainwreck, this shatter will elevate your experience with weed to the ceiling. The Trainwreck strain is incredibly popular among the cannabis community and there is a powerful reason for that. Being true to its name, Trainwreck’s high hits you hard as a train. The effects are truly exhilarating, which should come to no one’s surprise, given its mind blowing level of THC reaching up to 25%. Trainwreck is a cross between two sativas, Thai and Mexican, and one indica strain, called Afghani. Now, the Trainwreck shatter is, in fact, sativa-dominant, but it also induces a mellowing body high followed by the creative buzz and a waterfall of inventive thoughts. This, in turn, makes Trainwreck ideal for morning and daytime use. Nonetheless, keep in mind that it also has some powerful appetite-stirring properties, so be prepared for some extreme munchies. Trainwreck is commonly used by medical marijuana patients to relieve stress, pain, and PTSD. It may also be beneficial in terms of relieving anxiety, headaches, insomnia, muscle spasms and migraines. Moreover, Trainwreck is recommended for people dealing with bipolar disorder or depression. The plant’s buds have thin green leaves and are generously covered with a thick layer of trichomes. How does the final concentrated product look like? Trainwreck shatter has a beautifully brittle, glass-like texture and comes in a gorgeous golden yellow color. On top of that, the Trainwreck shatter has one of the most interesting interesting aroma and flavor profiles. The strain’s sweet, herbal and lemon aroma with delicate earthy, pungent and pine hints pine can’t be mistaken. As for the flavor, Trainwreck carries a sweet, lemon and herbal flavor, followed by pine and woody tones. This is really good, the potency is top notch. I am feeling very comfortable and relaxed, I can feel a nice head high mostly in my eyes, ears, and my temples. I feel awake yet completely relaxed.I feel creative at the present which is good :). Very uplifting. Good for daytime use. Favorite day use! Good taste, good high. This and the 40 dollar gsc shatter are the best ive ever had!! Buying more today!! Love the shatter, all the $40.00 shatter I’ve bought has been beautiful. first one from here ,already try a dozen of different stain prenium an not too but i must say that it’s the best one i have try so far ! tast amazing and like its name refer to the buzz hit you really fast almost instantly with first dab.to add to that perfection the price here are just unbelivable,the fact that they add. many coupon and that the shipping is the cheapest an faster ive seen in canada to date is the reason i will always order here now.mora then that they add to my order alf a gram of purple kush shatter who was amazing too!!! i hightly recommand to try these! thanks Ganga Groop!! The buzz is great very uplifting , easy to continue my day.